1) You can either soak the cashews in water in the fridge overnight, or use my 5 minute method: grind them in the blender or food processor dry for a couple seconds until they create a coarse meal. Cover with water and let stand for 5-10 minutes, then strain the soaked cashew meal through a mesh strainer. Don't worry about wringing every little drop out, they're going to get wet again anyway. Dump the soaked, strained cashew meal back into your blender or food processor. 2) Peel, cut up, and steam the sweet potato for 10-15 minutes until tender. 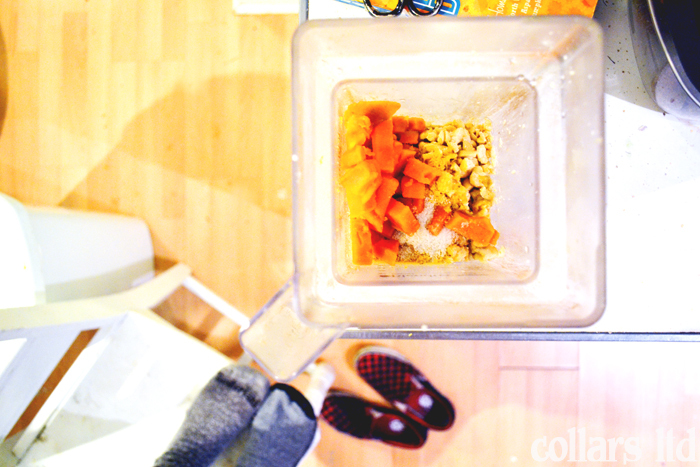 Add cooked sweet potato to blender or food processor. 3) Juice the lemon and add the juice to the blender or food processor. Add the nutritional yeast, peeled clove of garlic, 1 tsp of celtic sea salt, the nutmeg if you're using it, and 1/3 cup of the non-dairy milk. 4) Blend that shiz. I use a crazy high powered blender, so I just run it on high for a minute or two. Be more patient if you're using a food processor, and just let it keep going for 5-10 minutes if it has to. Blend until completely smooth. You may want to add additional non-dairy milk, depending on how much water your cashews soaked up. Add more salt to taste. 5) Top your pasta with it and eat. The key to this recipe is the sweet potato, which adds the perfect texture. 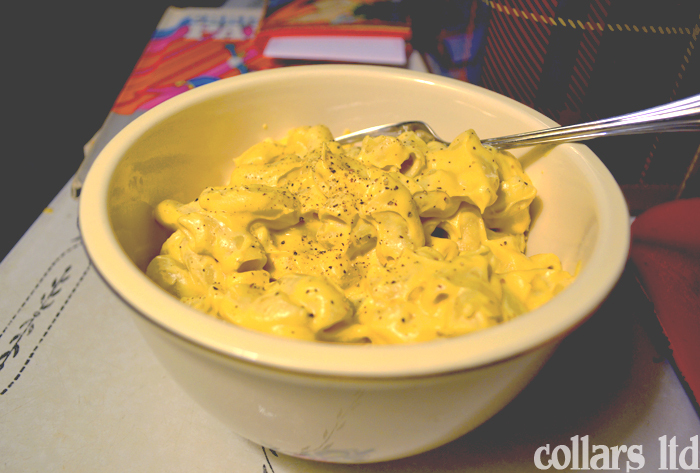 Skip it if you're normally a fan of Velveeta type cheese where it's super glossy and there's no grit. I like putting on Andean Dream brand quinoa pasta. I'm not allergic to gluten, it's just way easier to digest. I switch this recipe up only sightly to make nacho cheese. I'll post that recipe too, but don't be afraid to improvise it yourself, because that's what I did. You have been previously non-vegan, right? How does the taste of this match up to real dairy cheese? I already add butternut squash or sweet potatoe sto my mac and cheese, so this isn't actually going to be that much different than what we do now, haha.